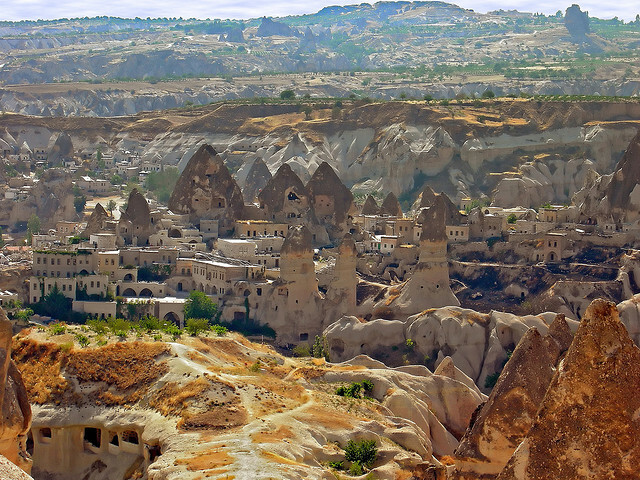 Love Valley in Cappadocia, Turkey certainly has a claim to fame – a very large one. Rather euphemistically named, the valley is home to rock structures that bear a passing resemblance to… well - make your own mind up. Seeing, as they say, is believing. 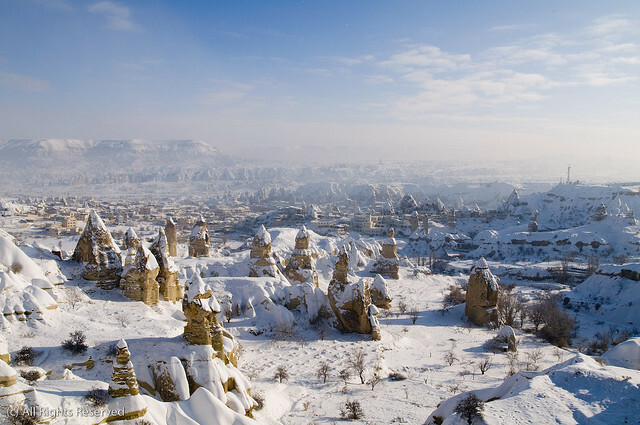 Cappadocia (Kapadokya in Turkish) is a region of exceptional natural wonders, none more so than the giant monuments left by Mother Nature in Love Valley. 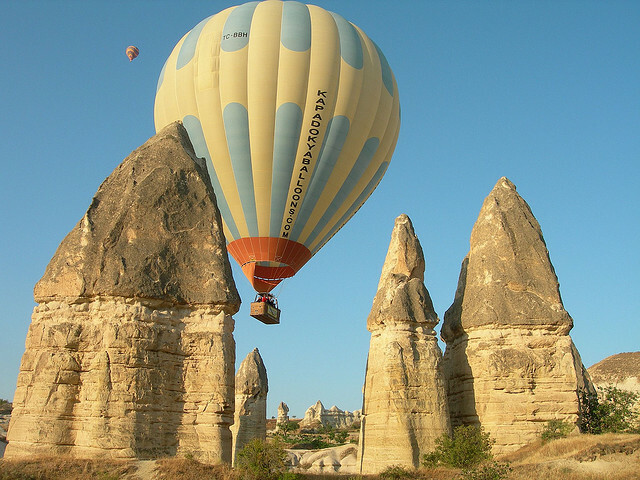 Situated in the very heart of modern day Turkey this natural wonder sits on a high plateau over a thousand meters in altitude. Rainfall is sparse in this area and the place has hot dry summers and bitterly cold snowy winters. There is little rainfall and so the region is generally arid. 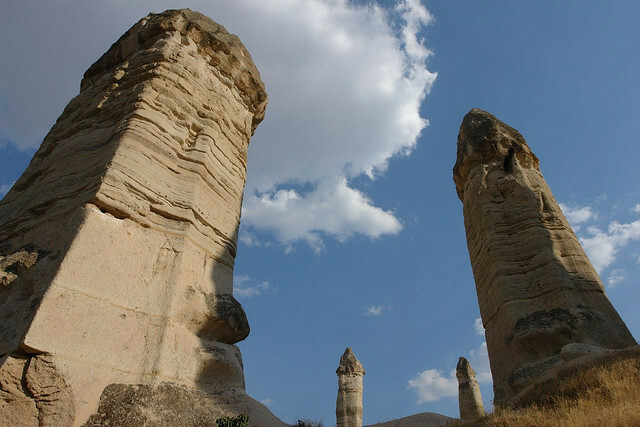 In this environment these huge phallic natural structures seems like some sort of ancient homage to male fertility. However, they are far from man-made despite the possible resemblance to manhood. 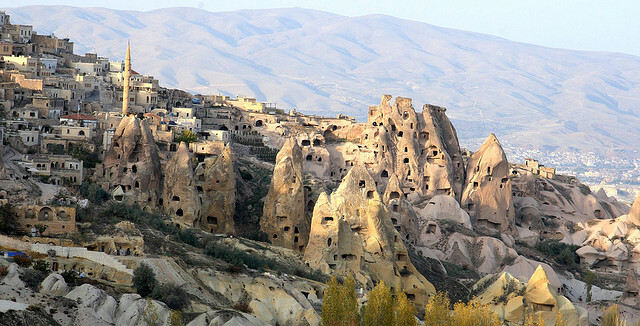 The closest human habitation is the small town of Göreme. Although you might expect hordes of tourists visiting such a place this is not the case. 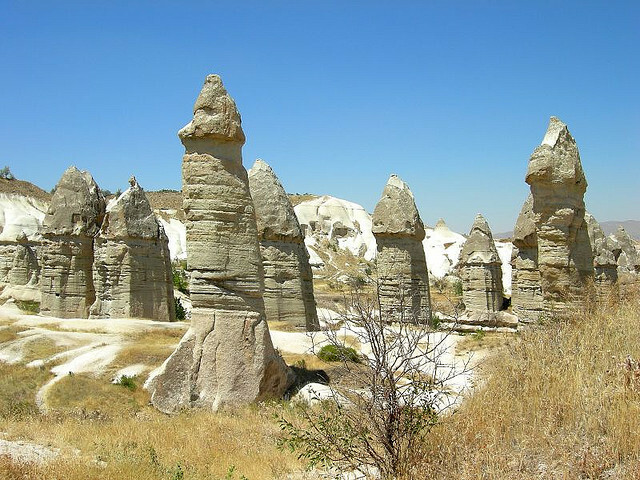 The Turkish are gregarious but modest people – you do not get group outings to Love Valley to see the ‘willy shaped’ rocks as you might had they occurred in any number of other countries. As such the town is small and friendly with little commercialization as such. What you will find there, however, is a very genuine and relaxed atmosphere and a warm welcome. Although it is unlikely that you will get lost it is considered the right thing to hire a local guide when you head out to see the local geological features. 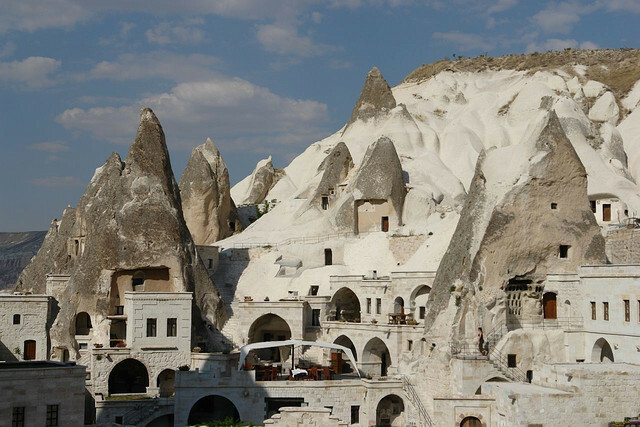 If you want to see a unique geological site, then this is certainly it – no run of the mill vague shapes here. These structures mean business. 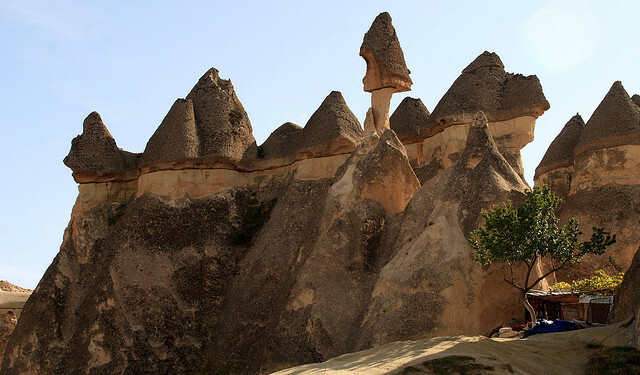 And they weren’t made by Mother Nature having a funny five minutes – these strange pinnacles are in fact eroded volcanic ash. You need to be pretty healthy to take all of this is as generally people will go for hikes around the valley rather than driving. If you are really not inclined to healthy walking then you are able – at some expense – to hire a hot air balloon and see the whole site from the skies. The local people grow apricots and squash for a living and a little from tourism. This is something more than subsistence although the area is still relatively poor in occidental terms. The whole region is rich, however, in thousands of years of continuous human history. 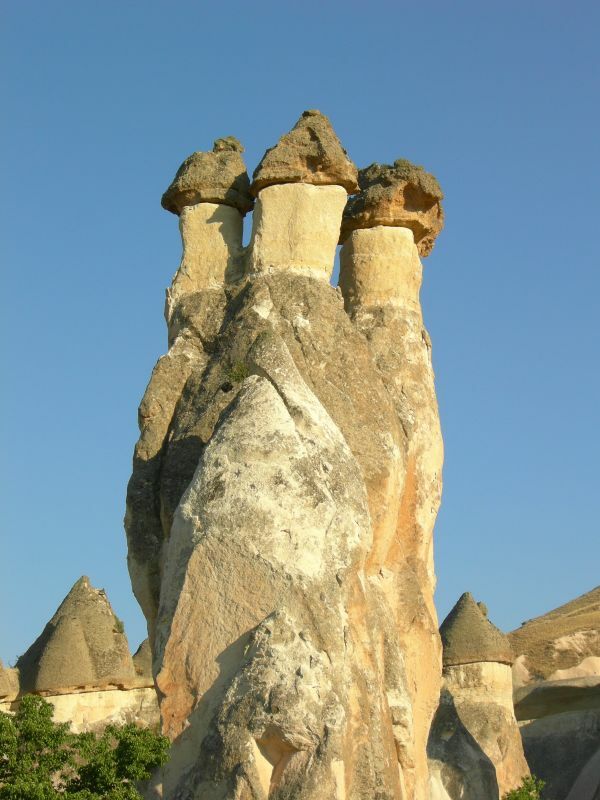 It is also the most visually stimulating region of Turkey where the erosion has formed not only these sensuous shapes in the volcanic rock but caves and clefts where people have carved out homes from which they conduct their lives and business. 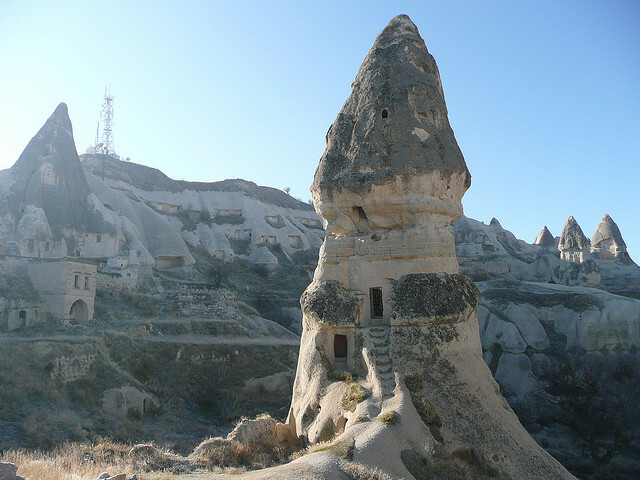 As you can see the structures are not restricted to the ‘Valley of Love’ itself – the town itself boast more than a few. The landscape seems foreign – alien almost. You could almost expect Captain James T round a corner followed by a reptilian adversary. 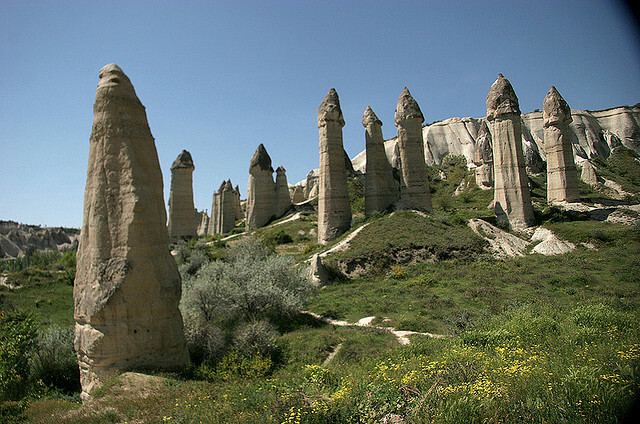 One can only imagine Kirk’s knowing reaction to the shapes of these rock formations. Although the landscape looks inhospitable in the extreme the soil is mineral rich. This makes it an ideal place for growing fruit and vegetables which means the whole area of Kapadokya meets a lot of Turkey’s agricultural needs. Turkish wine is on the rise in terms of reputation and Kapadokya has many vineyards and wineries – quite a surprise in a Muslim nation. 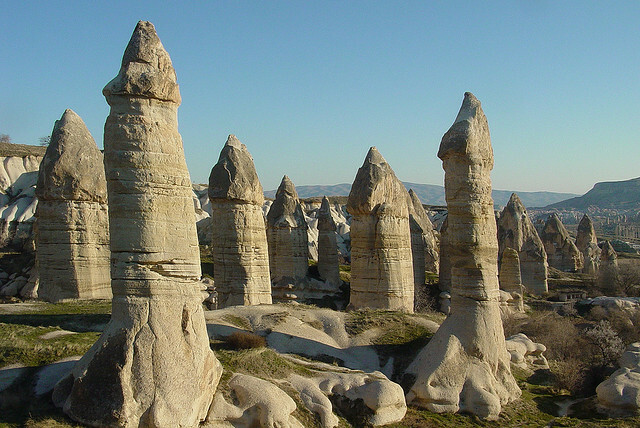 When you tire – as well you might – at looking at fifty meter high phallic geology then there are other things to do around the small town of Göreme. There is an open air museum which can be visited by walking about a mile outside of the town at the edge of Love Valley. There you are in for something of a surprise – seven hundred year old Christian cave paintings. 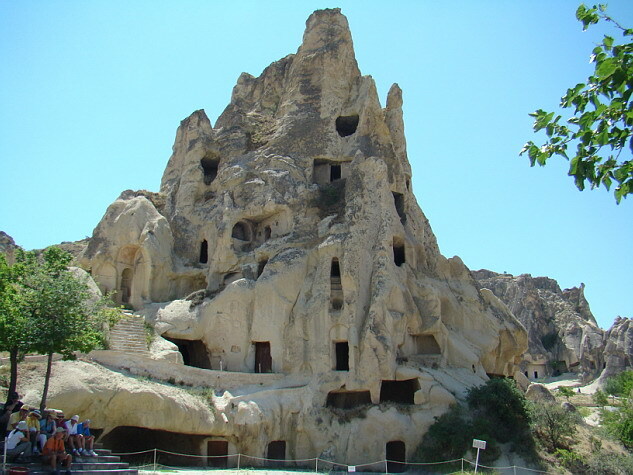 They were produced by monks inside the cave churches that they excavated from solid rock. Altogether it could be said to be one of the world’s more unusual museums. It is a little expensive but worth every Turkish lira. 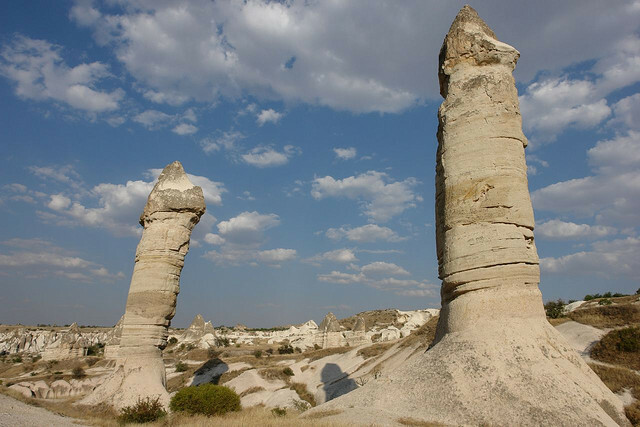 However, it is the strange rock formations outside of the town’s perimeter in Love Valley that people find the most memorable. Kapadokya means the ‘land of the beautiful horses’ in Turkish (and it is advisable to learn a few words and phrases – the locals will appreciate it greatly). Of course, no one comes here to see or trade horses but they come to be inspired by the landscape around them – quite like nothing on earth. 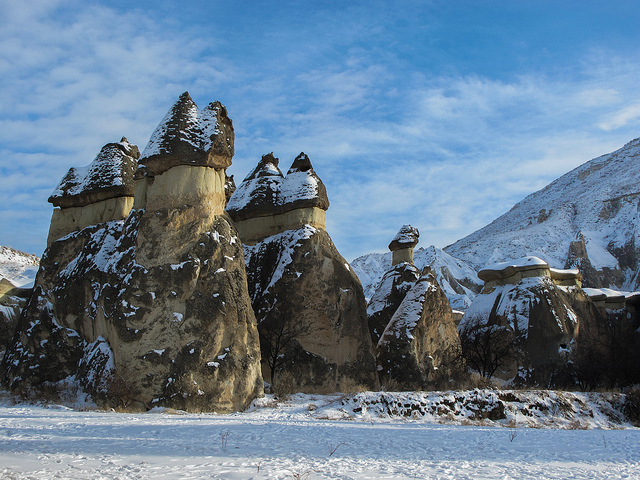 Most tourists come in the summer, so to see these formations in the snow is quite unusual. 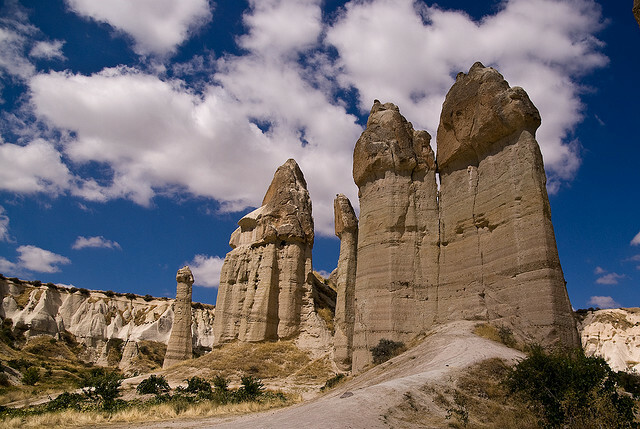 The rock formations are a result of volcanic eruptions in ancient times. Then, millennia of erosion did its work on the igneous rock. Igneous rock is formed when magma (the molten stuff!) cools down and becomes solid. 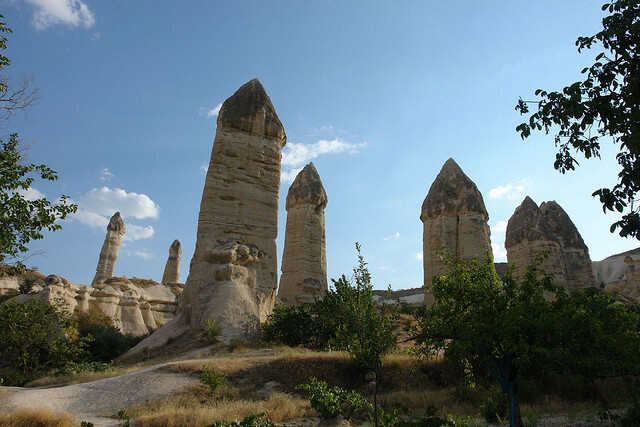 It can – as in the case of Kapadokya – be weathered away and create some rather peculiar – or in this case phallic – geological leftovers. 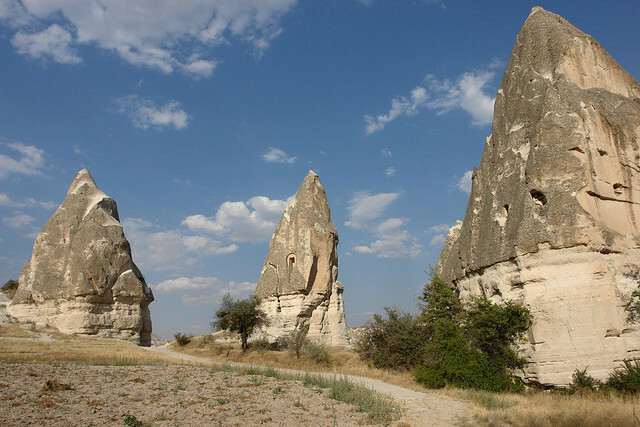 It could be suggested that the Cappadocians could have been more forthright in the naming of the valley, but their natural modesty probably forbad it. 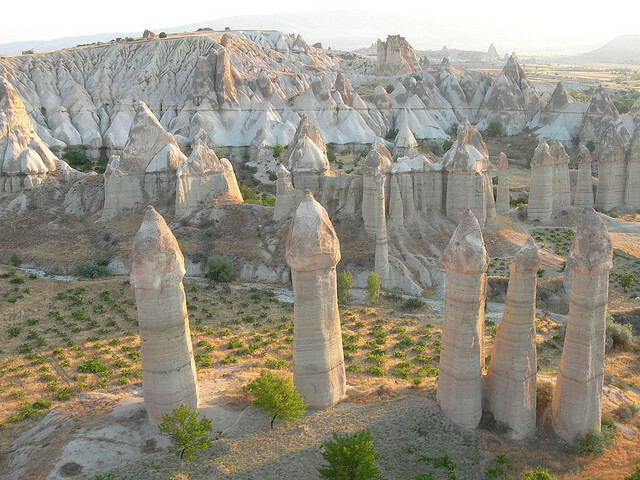 Love is a universal word, after all, and there is nothing that could be considered remarkable in its resemblance to the female equivalent of these enormous formations in the area. Perhaps ‘Willy Valley’ would just have sounded a little bit silly anyway. After all, hand in hand with Lake Titicaca the world might very well go to hell in an innuendo ridden handbasket. 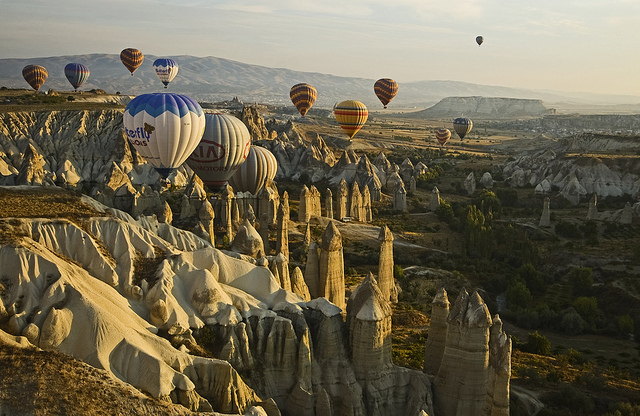 Altogether this area of Turkey offers the visitor a variety of different holiday experiences that are – to say the least – that little bit different. 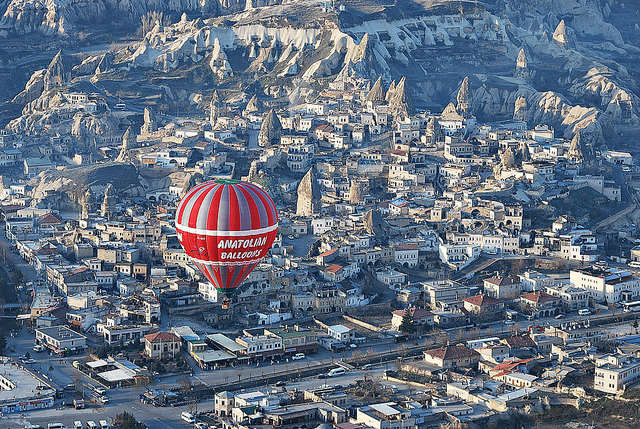 From hiking, biking, to hot air ballooning, Kapadokya offers unusual ways to see the site – and what sights they are.